One of the most notable celebrity deaths last year—and there were many—was that of George Michael. The pop star died on Christmas Day at the age of 53. And there was plenty of speculation around what could have happened to the music artist. So, what was the cause of George Michael’s death…and could it happen to you? The conditions that led to Michael’s death were cardiomyopathy with myocarditis and a fatty liver. In plain English: his heart was inflamed (myocarditis) and weakened due to stretching in the left ventricle, limiting its ability to pump blood (cardiomyopathy). Coupled with excess fat in the liver, which meant that the organ wasn’t operating optimally in ridding his system of toxins, this ultimately led to Michael’s death. Heart disease and fatty liver disease are common causes of death and are very closely related. Heart disease is the leading cause of death in America while fatty liver disease was put forth by Scientific American to potentially be “America’s greatest health risk,” citing that, as of 2015, an estimated quarter of Americans are living with it. The risk factors for heart disease and fatty liver disease—specifically non-alcoholic fatty liver disease (NAFLD)—are pretty similar. High cholesterol, high triglycerides, obesity, type 2 diabetes, and sleep apnea are all cross-over risk factors for both conditions. Diet and alcohol consumption can also play a role, while independent risk factors for NAFLD include some painkiller and supplement usage, hypothyroidism (underactive thyroid), polycystic ovary syndrome, and hypopituitarism (underactive pituitary gland). 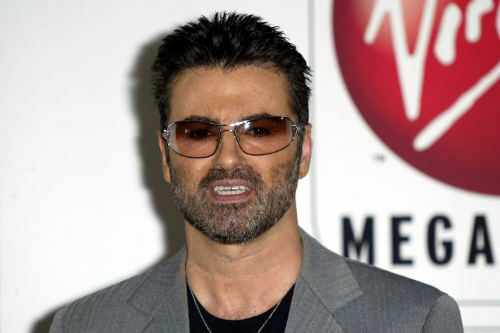 In the past, George Michael suffered addictions to drugs and alcohol that could have led to long-term, permanent damage to his heart and liver, even though they didn’t acutely lead to his death. And although both of these conditions can be hard to prevent because age and genetics do play a role, there are some things you can to lower your own chances of suffering from them or to reverse some of the damage that’s been done. “Cardiomyopathy,” Mayo Clinic, March 17, 2015; http://www.mayoclinic.org/diseases-conditions/cardiomyopathy/basics/lifestyle-home-remedies/con-20026819, last accessed March 8, 2017. “Non-alcoholic Fatty Liver Disease,” Mayo Clinic, August 23, 2016; http://www.mayoclinic.org/diseases-conditions/nonalcoholic-fatty-liver-disease/symptoms-causes/dxc-20211639, last accessed March 8, 2017. Jamal, H., “Non-Alcoholic Fatty Liver Disease: America’s Greatest Health Risk of 2015?” Scientific American, February 9, 2015; https://blogs.scientificamerican.com/guest-blog/non-alcoholic-fatty-liver-disease-america-s-greatest-health-risk-of-2015/, last accessed March 8, 2017. “George Michael died of heart disease, fatty liver,” American Heart Association, March 7, 2017; http://www.heart.org/HEARTORG/General/George-Michael-died-of-heart-disease-fatty-liver_UCM_492409_Article.jsp#.WMAnNhIrL-Z, last accessed March 8, 2017.